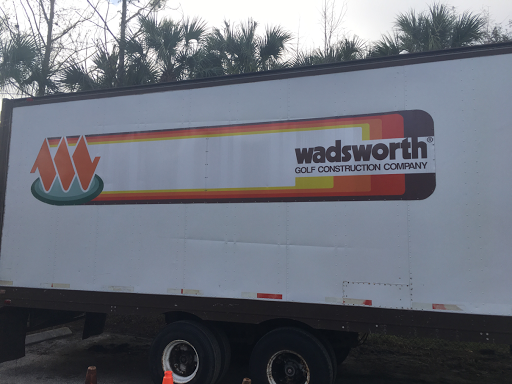 The golf course renovation is quickly approaching, as of today, 59 days until the project starts. Becoming more real now that the contractor has dropped off their trailer with equipment in it. More equipment will be arriving on Monday. 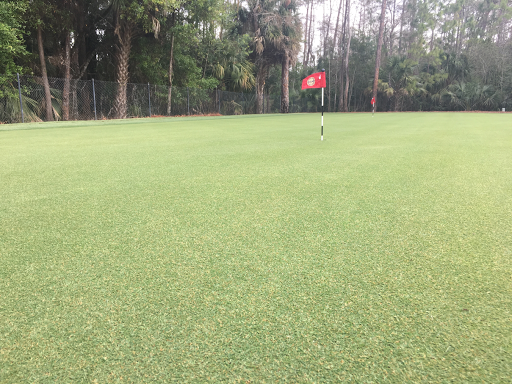 Nursery green is open for the membership to try out the new tif-eagle bermudagrass that will be on the greens following this summers renovation. It is open for putting Monday thru Thursday from 7am-2pm and Fridays from 7am-10am. Closed on Saturdays and Sundays. All the security cameras are set up and functioning. Installed the remaining camera this morning and the NVR is recording everything. Just have some wiring to run down the inside of the wall. Additional cameras can be added in the future. I have been wanting to upgrade the system for some time now. Saved approximately $6,500 by installing it myself, not that difficult to run Ethernet cable. Did not need to run power to the cams because they are POE (power over Ethernet). 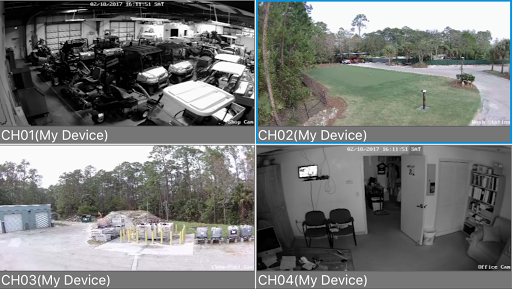 A few years ago I, along with the help of the clubs IT guy installed 4 webcams around the maintenance yard. At this point they were meant as a deterrent. Two of the original cams installed had since failed and were in need of replacement. I decided that it was time to upgrade the system to better security cameras and install a device to record them 24/7. Over the past week, two of the new cameras have been installed and the final two will be going up Thursday. These cameras will allow 24 hours recorded security to the facility. Total cost of this system will be less than $1,500, a very small price considering the cost of equipment and materials located at the yard. Myself and managers will be able to view the cams at anytime through our mobile devices. Parameters can be set up in the future to allow the cameras to detect movement and automatically start recording based on information programmed into the cameras. While we will not have full 360 coverage around the facility the most important components will be covered. The Chemical room and Fuel tanks will have a camera monoriting them. There will be a camera that can view the parking area and most importantly the entery gate into the facility. One camera on the wall inside the shop to monitor equipment, more can be added if needed. The last camera will be located inside the golf course superintendents office and only I will have access to view this camera live for the time being. Excellent video on nematodes and Oakmont CC working with Bayer on their product Indemnify. As stated in the video, nematodes are no longer a southeastern US problem. These pest are extremely difficult to control but Bayer has produced a product that has shown excellent results. We used it at NLCC this summer and nematodes counts dropped to almost zero.